At long last, the summer and the sweltering heat arrived to Finland, and at the same time the discussion about the economy of the Greeks is heating up, too. It seems a common misconception among the Finns that the separation of Greece from the eurozone would solve its current problems, when in truth, an uncontrolled separation and the country’s insolvency would cause not just an even bigger humanitarian crisis in Greece but also deeply affect the economies of all EU countries.The current topic of conversation in Finland is whether to issue and secure new loans for Greece and many parties rally against the initiation of any new debts. If Greece does arrive at insolvency and leaves the euro, it will become completely unable to repay any of its debts.The amount that Finland has in stake with Greece is approximately six billion euros. If Greece folds, it will directly affect the Finnish tax payers. It’s easy to take the moral high ground and look down upon the seemingly susceptible acts of the Greeks but it is in the interest of no one – not the Finnish tax payer nor the Greeks – to let Greece leave the eurozone.Especially the Finns Party leaders (Perussuomalaiset) have made repetitious threats of strict policy when it comes to Greece. To some, these comments may sound appealing, but in actual fact leaving Greece to its own devices is the worst line of action when it comes to the Finnish public. The Greeks will take the biggest hit but at the same time other European countries will lose what is owed to them, and that includes Finland. Furthermore, the Greek turmoil is also a question of democracy. Isn’t it the right of the representatives chosen by the public to decide on the contents of possible repayment adjustments? Greece had already committed to running a primary surplus of 3 percent of its GDP. Now the IMF, an organisation completely outside of democratic decision-making, wishes to take on the role of politicians and dictate how these adjustments are to be carried out. 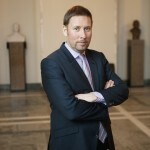 Steingrimur Sigfusson, the Icelandic left-wing Minister of Finance, strictly declined from the proposed actions as put forward by the IMF during the economic crisis of 2008 and instead carried out their own adjustments. Iceland has since made a great recovery and unemployment rates are declining steadily. Many of us follow the news about Greece with confusion, and it often feels they make no sense. This is partly due to the nature of the negotiations – the EU commission, the IMF, Greece itself and other member states all have their own, often conflicting goals. While the Finnish Minister of Finance keeps saying that every other member state disagrees with Greece, it is only a political half-truth. For example the EU and the IMF can’t seem to come to unified decision either. Some of the EU Member States desire to find a solution that would appease all parties, while some wish to stop Greece from getting back on its feet for various domestic reasons. It is a given that all member states wish to appear as a unified front and no one wants to come across as a softie, especially in the eyes of voters. However, the information that has so far leaked from current negotiations prove without a doubt that the issue is not about whether or not Greece should be pardoned from repaying its staggering debt. It is about what kind of line Greece has been forced to pull when subjected to the pummelling of other member states and the IMF. During its current democracy, Greece has been ruled by two parties in turn. New Democracy and PASOK both created a corrupted system where the political and economical elite are exempt from paying taxes and divide the wealth of the nation amongst their own. It is difficult to compare Greece to Spain or Ireland because these countries had hardly any debt before the economic crisis of 2008 and the only loans taken out were to save their banks. In Greece however, the accumulation of debt was irresponsible and it was covered up by such institutions as the US investment banking firm Goldman Sachs. When the house of cards came tumbling down, the first thing that they wanted to save were the German and French banks that had offered loans to Greece. The pressing problems of Greece are a direct consequence of not only a corrupted system but also the arrangements made during Vanhanen’s government where the debts were transferred from banks to the tax payers of the European Union. On the other hand, during Katainen’s time as prime minister, private debts were cut but this proved to be an insufficient act because there was not a lot left to cut from. Greece has gone into debt and it is impossible to remedy the situation by throwing new help packages in its direction. The only way Greece can pay its debts is by eradicating unemployment and by collecting a sufficient amount of income tax. For the first time in Greece, the government in power wishes to put a stop to tax evasion and corruption. It has enhanced the process of collecting taxes and in a short time managed to gather half a billion euros. Greece is finally trying to change the structure of their tax system and move towards progressive income tax that will see all members of the public pay tax according to their financial abilities. The new government has also put a stop to turning public services private and for example rehired the cleaners that used to work for the Treasury. During negotiations Syriza was ready for large cuts and for a moment it looked unclear whether the party’s controversial policy would pass at all in the Greek parliament. Syriza has proven that he is ready to execute even the most unpopular procedures, like abolishing early retirement. In the future the only reason an early retirement could be granted would be due to an illness or other substantial reasons. Syriza has even managed to pass a motion that will mean the army’s expenditure is cut, an impressive move seen as they have to rely in the support of the conservative ANEL, whose chairman is the Secretary of Defence and an avid supporter of a large army. The IMF has been reluctant to accept any of Greece’s proposals and has instead insisted that in order to continue supporting Greece, they require cuts in current pensions that already run small. Over two thirds of Greek pensioners already live on or under the poverty threshold. The IMF has also not allowed Greece to start repayments by tightening the taxation of high-income individuals and companies and has instead demanded a raise to VAT. If the proposal passes it would make it the fourth time Greece has increased its VAT during the crisis. These motions put forward by the IMF have nothing to do with a sustainable economy for they are rallying for actions that have been previously proven complete failures by its very own research team. It makes one wonder if they even want the Geek government to succeed in lifting the country back on its feet. For a bunch of heads of state who place their trust in coalition, it is a scary thought to see any other kind of politics succeed. It would be in the best interest of Finland, Greece and the whole of Europe that Greece would be allowed to take a path that would ultimately lead to it repaying its debts. This is only possible if instead of huge, debilitating cuts we begin to mend the whole system, especially taxation. It is sad to witness that for the majority of political leaders other things are more important. I want to believe that reason will win in the end. If Greece is forced out of the euro we lose what is owed to us in its entirety. It would also be a huge blow to the credibility of the whole eurozone.